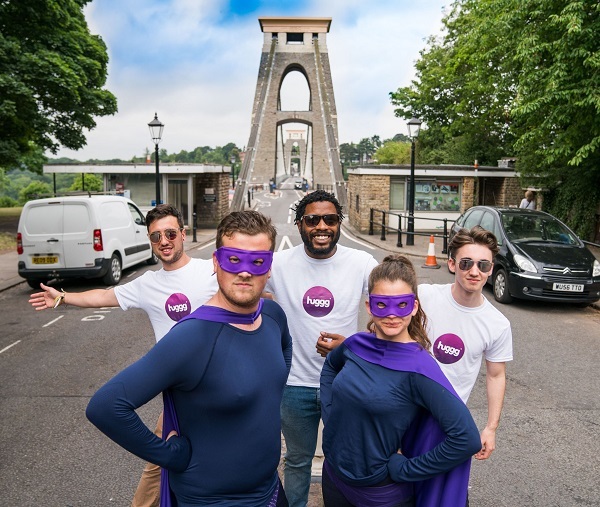 This week sees the launch of Huggg in Bristol – an exciting new app that allows you to send coffee, breakfast, lunch, drinks and more to friends at the tap of a button. Huggg is using Bristol and Bath as its UK launchpad, with brands such as Friska, Turtle Bay, Be At One, Byron and Society Café already signed up to offer carefully selected items from their menus as “hugggs”. The concept is simple: download the app and use it to send “hugggs” to friends, family, colleagues or anyone else – you simply choose which food or drink item is best suited each time, whether it’s a cappuccino as a pick-me-up, a birthday cocktail, or a thank you dinner. The huggg is then sent instantly, via your mobile – all you need is the recipient’s phone number. Co-founder and CEO Paul Wickers conceived Huggg in 2014, when the former banker was looking through the greetings card market for a deal. It struck him that the idea of paper cards was maybe a little antiquated, and he started to think about what could replace the card…suggesting to his wife that texting a cup of coffee could make an even greater impression. He left his 12-year banking job and teamed up with Alice Cox to create Huggg: a simple, user-friendly app that adds a whole new dimension to instant messaging. In September 2016, the tech was ready, and the pair moved into new Bristol offices. We’re giving 15 Bristol Bites readers the chance to win a gift from Huggg: we have five Byron burgers, five Friska lunches and five cocktails at Turtle Bay (which will be 2-4-1 if used during happy hour!) to give away. To enter, all you need to do is to follow @BristolBites and @huggg_uk, then tweet with the hashtag #HugggBristol, letting us know a friend you’d like to huggg and why. We’ll pick the best suggestions after the closing date of 5pm on Monday, July 24th – good luck! To make it even easier, click on the image below for a pre-filled tweet…just change the name and reason to enter!